There may come a day where knowing the size of a patient's hippocampus will be as routine as knowing his or her cholesterol score. Neuroreader, an FDA-cleared software application manufactured by Danish medical device company Brainreader, performs an automated analysis of MR brain scans to helps physicians quantify structural and volumetric segmentation. According to the company website, Neuroreader automatically measures 45 specific brain structures and compares those measurements to an FDA-cleared normative database of diversified MRI brain scans taken from healthy individuals. 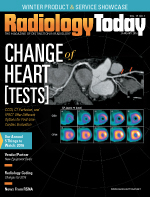 "I think [quantification] is going to rebuild the radiology report from the ground up," says Cyrus Raji, MD, PhD, radiology resident at UCLA Medical Center. "I think we are going to have radiology reports that are beefed up with actionable, quantitative data." The software represents another step in the increasing quantification of medical practice, which can be traced back at least to the introduction of the modern clinical thermometer in 1866. "It is happening in all areas of medicine," Raji says. "We are quantifying the human genome with high-level supercomputer processing techniques. We are quantifying our lifestyle behaviors with smartphones and wearables. This whole thing where quantitative metrics are a good thing in medicine is naturally extended to the brain when we talk about Neuroreader. I think it will reflect the overall trend in medicine of quantifying disease patterns, so that we can help patients earlier and apply really smart approaches to see if they are working." John L. Ulmer, MD, chief of neuroradiology at the Medical College of Wisconsin, says that this software bridges some important gaps that have prevented neurology from moving in this direction sooner. Primarily, the lack of reproducibility of manual analysis leads to less accuracy across studies, which limits the ability to offer the quantitative data in a standardized fashion. "For over two decades, we have understood that neuroimaging should and could move toward a quantitative field," Ulmer says. "Right now, it is all qualitative. We look at images, we describe qualitatively what we see and that's it. Quantitative analysis means greater precision." The applications for the software are numerous, says Barton F. Branstetter, MD, chief of neuroradiology at University of Pittsburgh Medical Center. "Previously, quantitative evaluation was in the arena of research exclusively," Branstetter says. "It was so time consuming. Once it becomes routine and simple and automated to do quantitative analysis, then you can bring it into the clinical realm." Much of the framework is already in place. Raji notes that the American Academy of Neurology guidelines established in 2001 recommend that every patient suffering from memory loss get either a CT scan or MRI scan of the brain. "The automated segmentation capabilities that are now out there seem like such a simple step," Ulmer says. "But that simple, practical step unleashes a whole host of other quantitative biomarker data that will be powerful in many diseases. Alzheimer's is the test case, but I think we are going to find lots of applications. We don't always know what those are going to be until we start. I'm excited about it. It signals the beginning of a transition of our entire field of neuroradiology—a shift in equilibrium from a purely qualitative craft to significant quantitative components. That's really big; it's a new era, a new phase for our field, from this one apparently simple development." The Neuroreader website claims the software can yield an accurate volumetric assessment and produce an automated patient report within five minutes. "It requires nothing more of the patient," Branstetter says. "There is no additional time [nor additional risk] for the patient involved. In academic centers, this can be performed on data that already exist from the MRI scanner. The cost from the patient perspective is zero. The cost to the physician is looking up the answer essentially and documenting it and putting it into a proper clinical context." Neuroreader, which is sold as a software service on a per-use or subscription basis, is designed to help doctors evaluate numerous conditions or diseases that might produce changes in the 45 brain measurements the software collects. For example, Raji says the quantitative data could also aid psychiatrists in treating diseases of the brain. "Brain atrophy or shrinkage, which we can detect with lower volumes in structures on imaging, happens in many different diseases," says Raji, who has assisted in about 30 papers on Alzheimer's. "It happens in psychiatric disease like depression. It happens with traumatic brain injury (TBI), which is so important to understand, diagnose, and treat now with the burden of TBI we see in soldiers, as well as all of the public attention it is getting from the National Football League." Neuroreader can also help doctors identify those who may have an ailment that may mimic some of the symptoms of Alzheimer's, but do not have the disease. "There are many types of treatable diseases that can give you memory problems and are not Alzheimer's disease," Raji says. "You could run Neuroreader on one of those patients I've described and you found, for example, that the hippocampal volumes are normal or the temporal lobes are normal, then that person does not have Alzheimer's disease. It could be a vascular process causing their cognitive impairment, which is treatable. But because of that, this patient's family no longer felt that person had to go to the nursing home." Ulmer thinks financial and emotional savings—as well as early detection and treatment—could have a huge impact on patients and their families. "Put yourself in the shoes of somebody who has a memory issue," Ulmer says. "Understand the difference in seeing a clear path of prognosis, treatment, and therapy, vs confusion over the next five or six years, trying to figure out what is going on—not knowing if it is organic or there is something else going on. It is important—very important—in terms of the quality of life of these patients, or of those who end up not having Alzheimer's. It's very important for them to know that [Alzheimer's] is not what is causing their problem. "In the future, there will be better and more effective treatments. Early detection will undoubtedly be critical to delaying the onset of a disease or mitigating its effect." And increased quantification of information provided by MRI is one way to detect and treat disease earlier.